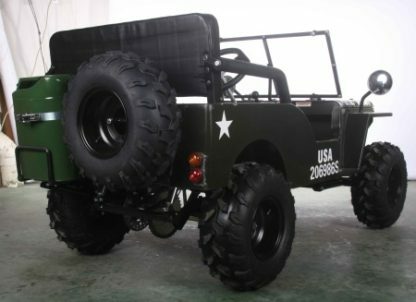 Mini Jeep Military Commando 125 – GET THE MAX out of Life! 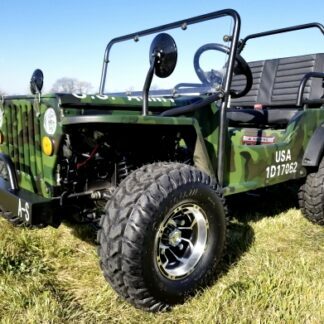 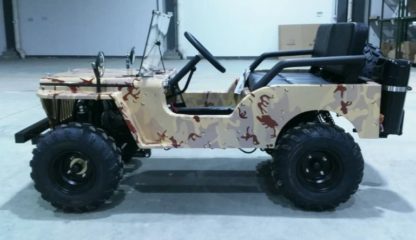 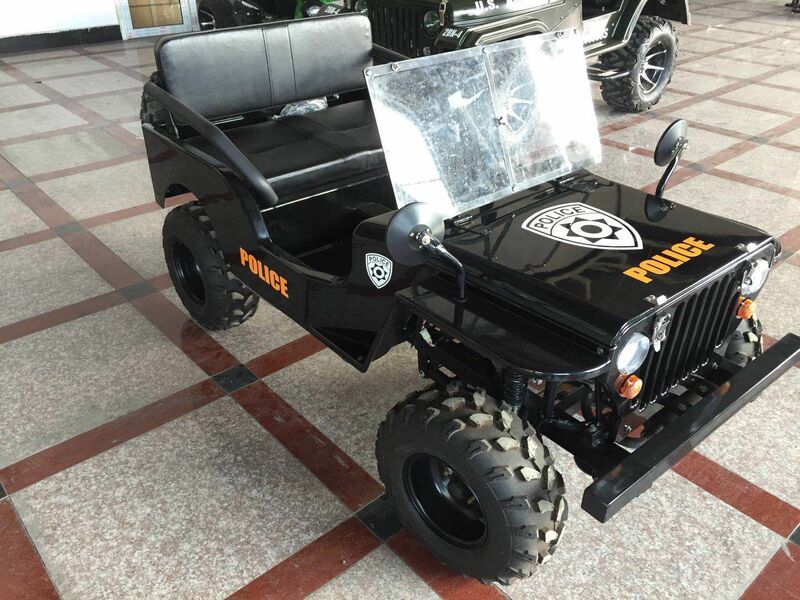 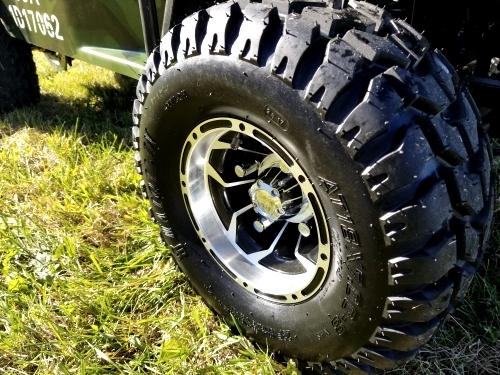 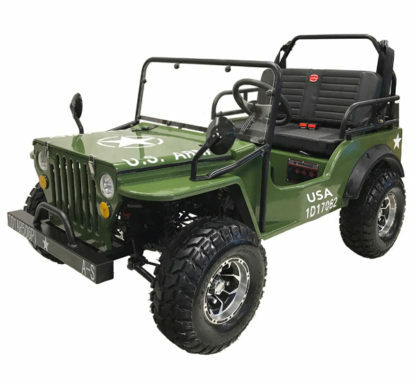 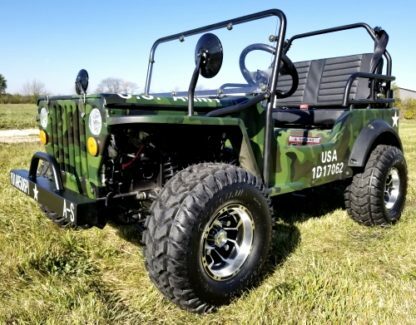 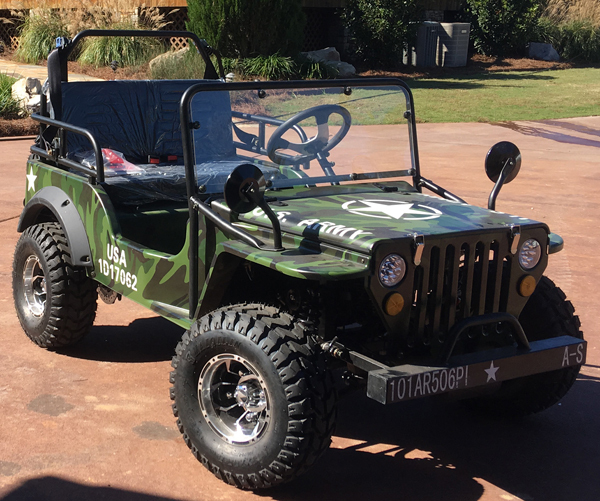 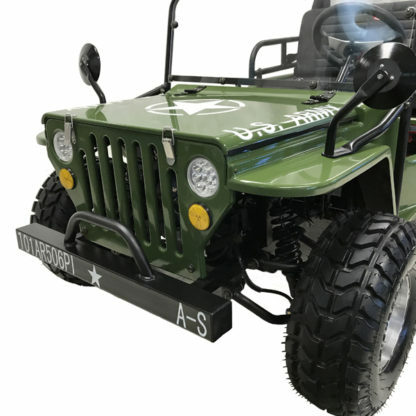 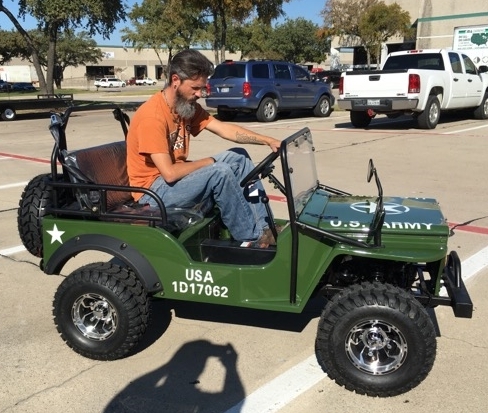 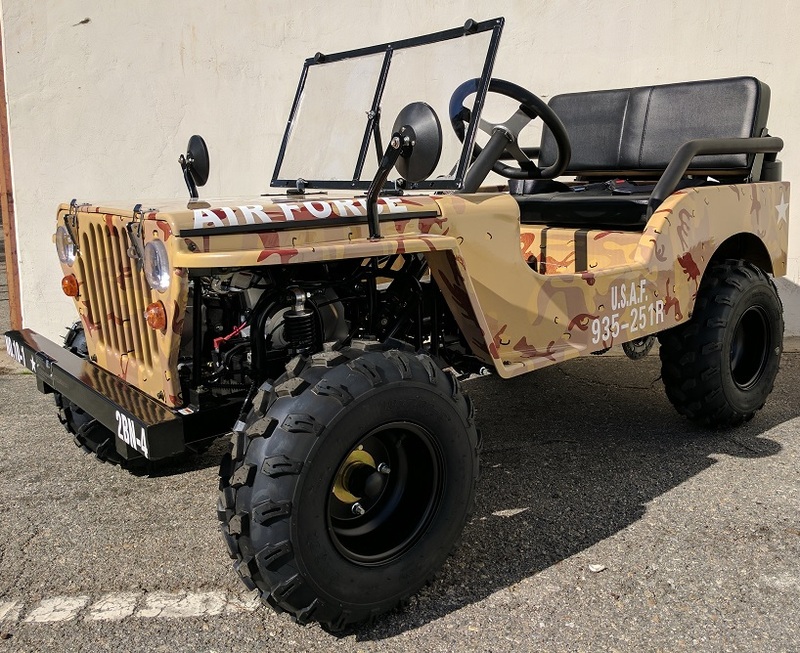 Catch the Craze with this Awesome Mini-Jeep Willy’s ATV off road vehicle! 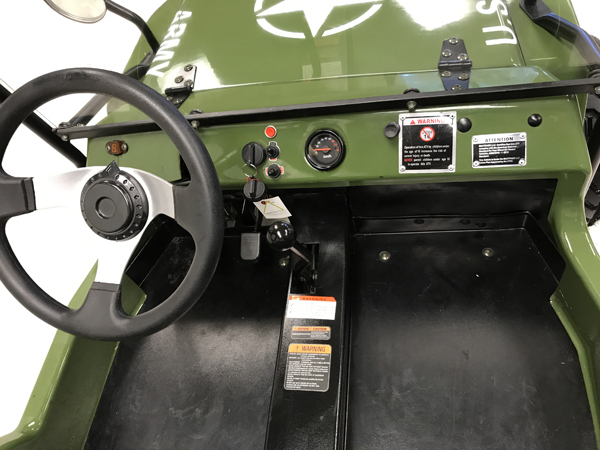 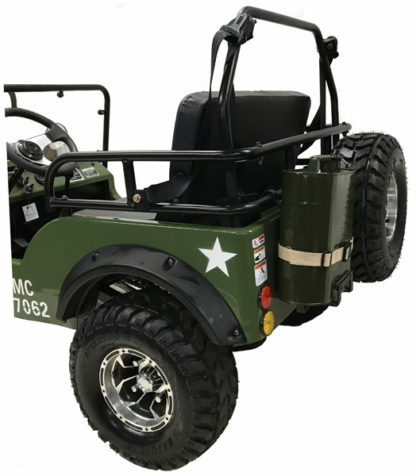 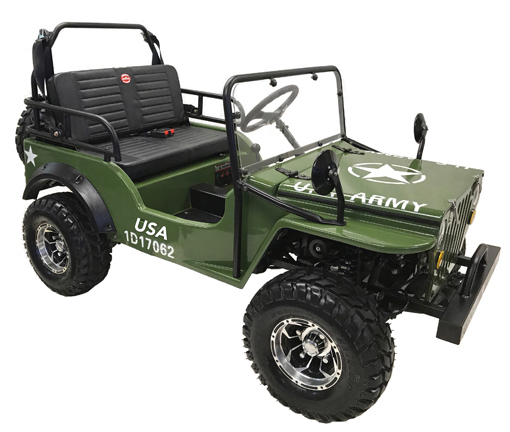 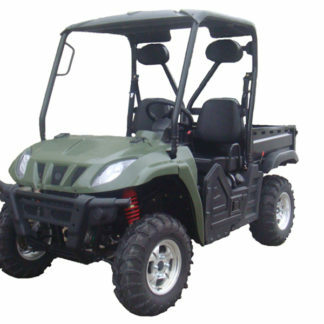 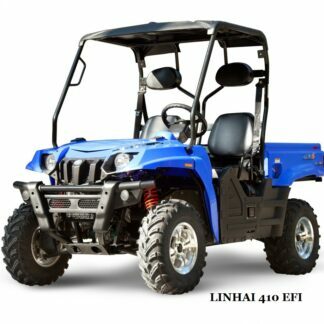 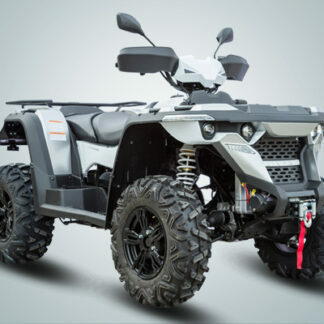 Easy operation with electric start, semi-automatic 3 speed transmission w/reverse, 4-Stroke engine, rack and pinion steering , and good leg room makes this go cart extremely easy and fun to operate. 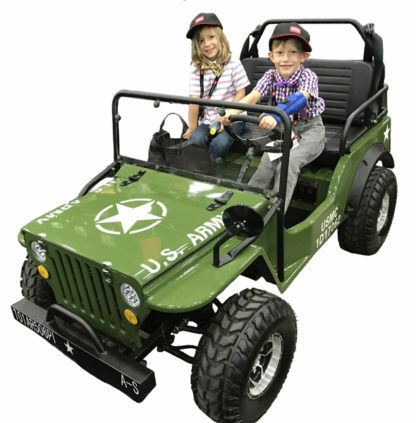 The Mini Jeep offers great value and performance ideal for the young Jeep Enthusiast in your family! 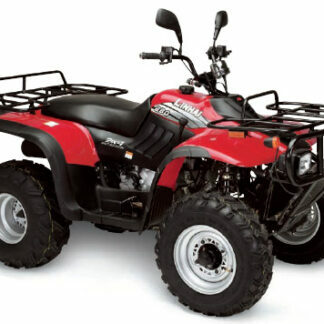 * ALWAYS RIDE WITH A HELMET ON AND PROPER PROTECTIVE GEAR! 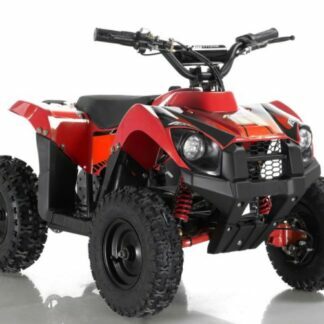 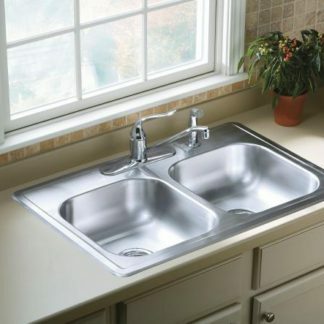 This unique machine develops plenty of low down torque to carry even an adult or two, and top speeds of 30+ mph depending on weight! 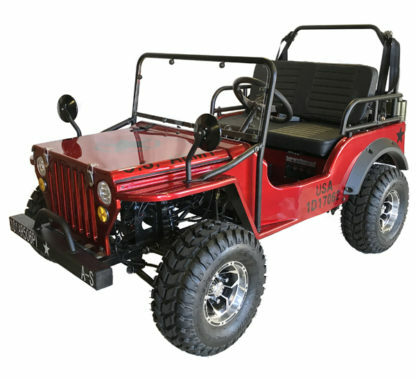 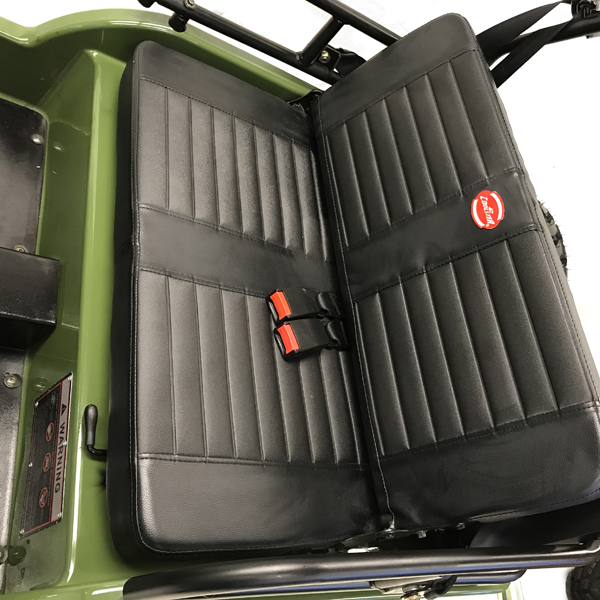 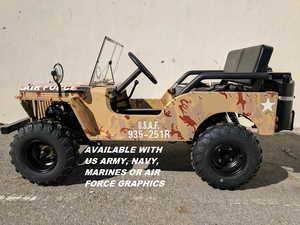 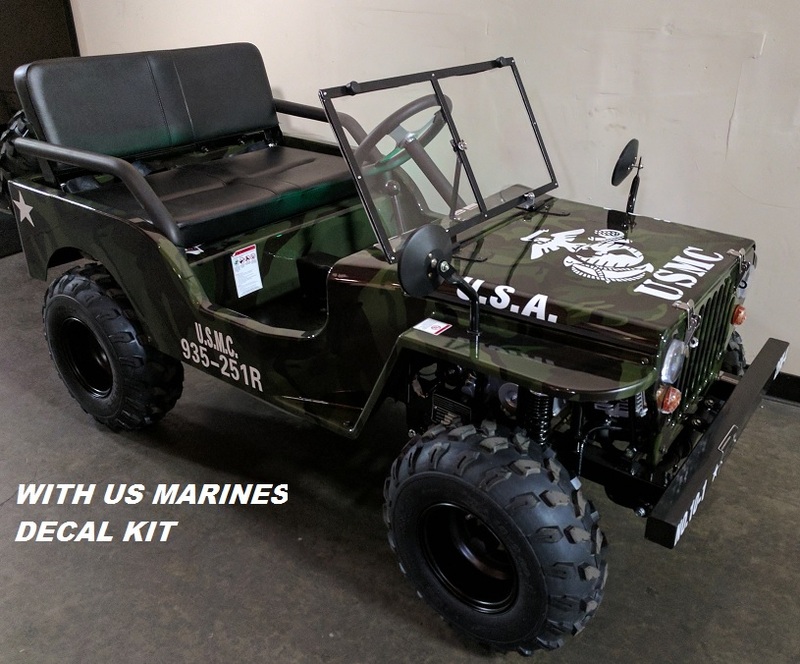 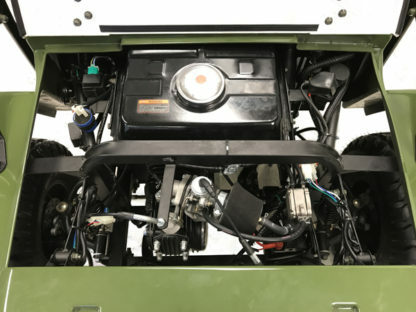 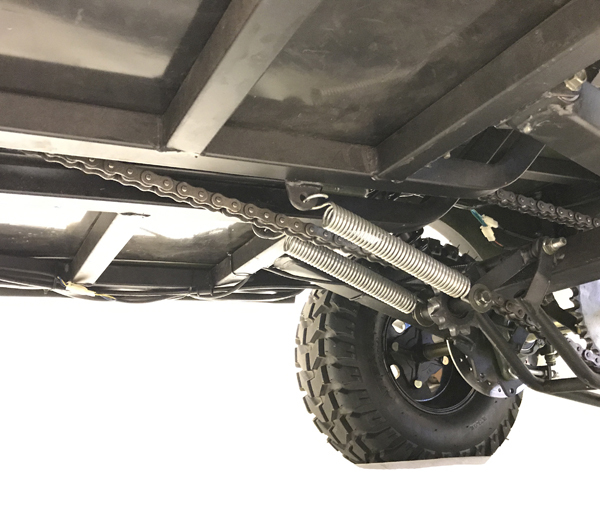 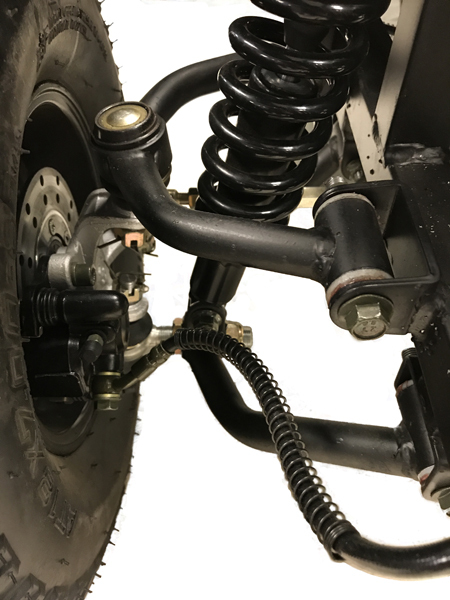 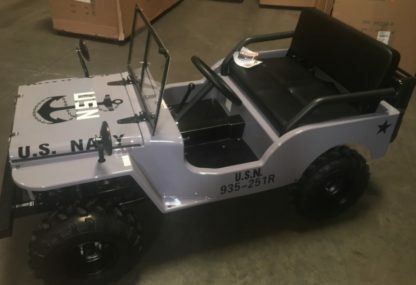 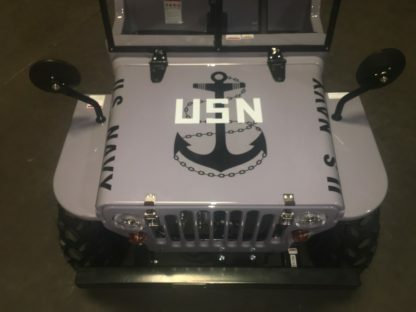 Simplistic strong design, our 123cc Mini Jeep has a Honda clone design overhead cam gas engine, Semi auto transmission, single independent front & rear disk brake, front crash bar, rugged rear suspension, engine protection bar, fully rose jointed steering, chain drive and padded drivers seat. 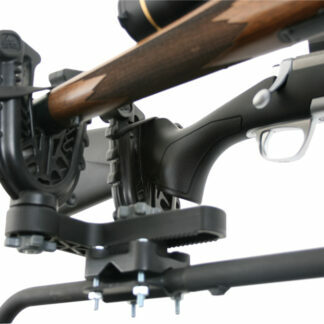 We offer the Mini-Jeep in TWO MANUFACTURE DESIGNS! 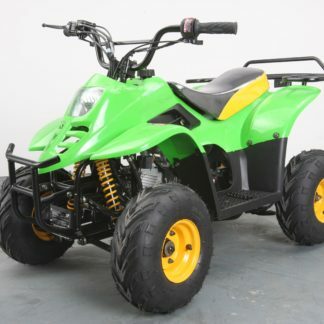 UNITS PURCHASED AT OUR SHOP ARE FULLY ASSEMBLED AND READY 2 RIDE!